Barh is a town and subdivision in Patna district of Bihar, India. It is located on the southern bank of the Ganga River.It is well known for Umanath(Shiv Temple on shore of ganga). Umanath is a famous place for Hindu ritual cremation. It is also famous for Alakhnath temple. Barh was one of the largest lentil- and pulse-producing regions of India during the British Raj. Situated on the southern bank of the river Ganges, some 60 km east of Patna, the town was a stopover for ships sailing to and from Calcutta, ferrying grains and lentils. The town's name may have derived from the Persian word bargah, which translates as 'twelfth' in English, as Barh's position in the order of such stopovers was twelfth. The town is low-lying and was frequently flooded by the Ganges before the Bandh Road was constructed. The Hindi word for a flood is barh, and it has been alternatively suggested as the etymological origin of the name. Other sources suggest that the first sitting of the Bar in India was held here in 1884. Before this event the name of the town was Umanath Nagar, after the local Umanath Temple. After the event, the town began to be called Bar, as shown in various maps of India from 1834 to 1896, and Barh thereafter. As of 2011 India census, Barh block had a total population of 3,16,348, with 1,62,354 males and 1,53,994 females. Barh has an average literacy rate of 95.0% . Barh returns a member to the Bihar Legislative Assembly and forms part of the Munger Parliamentary Constituency. The Barh court area is more than 150 years old. The Umanath Temple is said to be more than 800 years old. The tomb of Suleiman Chisti was built by the Pathan emperor Sher Shah Suri. A mosque, believed locally to have been constructed by the daughter of Mughal emperor Aurangzeb, is situated on the banks of the Ganges in Barh. Barh lies on National Highway 31 which connects it to major cities. The town also has a railway station with the same name. NTPC Limited is India's largest power-generating company. The then prime minister of India, Atal Bihari Vajpayee, laid the foundation stone of the main plant of stage 1 of NTPC Barh Super Thermal Power Station on 6 March 1999. Then Union power minister Sushil Kumar Shinde inaugurated the main plant house of stage 2 of NTPC Barh on 29 May 2006. Around 3.3 GW of coal-generated power will be added at Barh. The three-unit 1.98 GW Barh I is being built by Russian firm Technopromexport (TPE), and the other two-unit 1.32 GW Barh II extension is being built by BHEL. 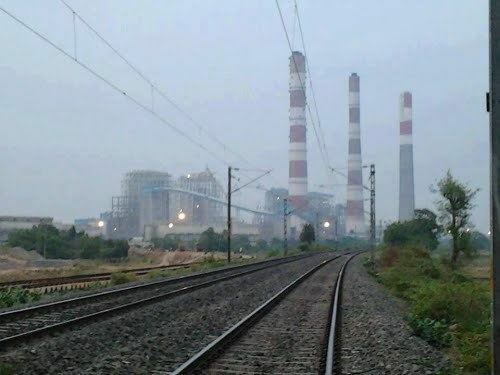 On 12 October 2013, 660MW unit of NTPC Barh was synchronised with the grid.